If you have been involved in an auto accident and are suffering from whiplash or another musculoskeletal auto accident injury in Denver, let the Denver physical therapy team of experts at Denver Physical Medicine & Rehab help. Traumatic injuries sustained in auto accidents can be extremely painful and far reaching, and they require prompt medical attention. 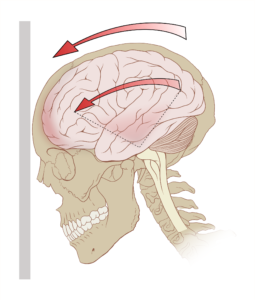 What is Whiplash and Whiplash effects? Whiplash is a type of injury that most commonly occurs during a car accident. This injury happens when the neck moves quickly forward and backward. If you picture what happens when you crack a whip, this will give you an idea of what whiplash resembles inside your neck. In many instances, chiropractic treatment and physical therapy allow whiplash sufferers to return to living their lives as they did prior to the accident. The first 24 hours after an accident are crucial. Immediately following the accident, move all involved vehicles off the road, if possible, and call an ambulance for injured passengers as needed. Exchange information, and make notes of exactly how the accident occurred. Once you’ve called the police and your auto insurance company, your next call should be to Denver Physical Medicine & Rehab. The longer you wait to be seen, the longer it will take to restore your health. Even if you’ve only been involved in a minor accident, and you are not experiencing any symptoms, we recommended being examined within 24 hours. If you have been injured in a auto accident, you might have to receive regular treatments. In our clinic we take pride in have several auto accident treatment specialist under one roof in order to treat you more efficiently and save you time from going one appointment to another. You can see several if not all medical professional needed to get you back to pre-injury status in our Integrated Spine Clinic. We in addition work with all types of auto accident claims, insurances and attorney liens. If you have been involved in a car accident in the Denver area, please contact Denver Physical Medicine & Rehab now by calling 303-757-7280.